Professor of Public Health Research of Wageningen University/ Academy Professor of the Royal Netherlands Academy of Arts and Sciences / Vice- President of the Netherlands Health Council. Daan Kromhout´s main research interests are diet and lifestyle-related factors of Cardiovascular Diseases (CVD) and of Healthy Aging. 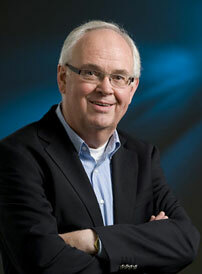 Daan took the lead of the Zutphen Study in 1978 and became a central collaborator on the Seven Countries Study in 1979. He has had a major responsibility in the Seven Countries Study continuation ever since Ancel Keys and Henry Blackburn retired. In 1985 he started the Zutphen Elderly Study and extended the original cardiovascular surveys with the collection of new data on different aspects of health. He also continued the unique collection of individual dietary data since the inception of the Zutphen Study in 1960. Together with Alessandro Menotti, he supervised follow-up, collation, and analysis of data of the Seven Countries Study up to the present day. He explored new hypotheses, particularly in the area of fish consumption, fatty acids and flavonoids in CVD risk. In more recent years he focused also on diet, lifestyle and healthy ageing. From his first publication on fish consumption and CHD in the Zutphen Study Daan was interested in the role of omega-3 fatty acids in the etiology of CVD. He reproduced the inverse association of fish consumption with fatal CHD in various prospective cohort studies and also observed inverse relations for sudden coronary death and stroke. These results formed the foundation of the Alpha Omega Trial, a double-blind placebo-controlled secondary prevention trial on the effects of omega-3 fatty acids on cardiovascular events. After many years as a division director at the National Institute of Public Health and the Environment at Bilthoven, Daan is now professor at Wageningen University and Vice-President of the Health Council of the Netherlands, the main advisory body on health of the Dutch government. Daan Kromhout became principal investigator of the Zutphen Study in 1978, a cohort of originally 878 men aged 40 to 59 years in the town of Zutphen in The Netherlands that was started in 1960 and has been followed for more than 50 years. The Zutphen Study is the Dutch contribution to the Seven Countries Study. More about the Zutphen study.